As time flies, most of us here in NS Bikes spend more and more time on trails with our kids. That's the natural law. And that's great! The younger you start the more fun you take from it. So honestly speaking, it was just a matter of time until we start to make our own kids bikes. 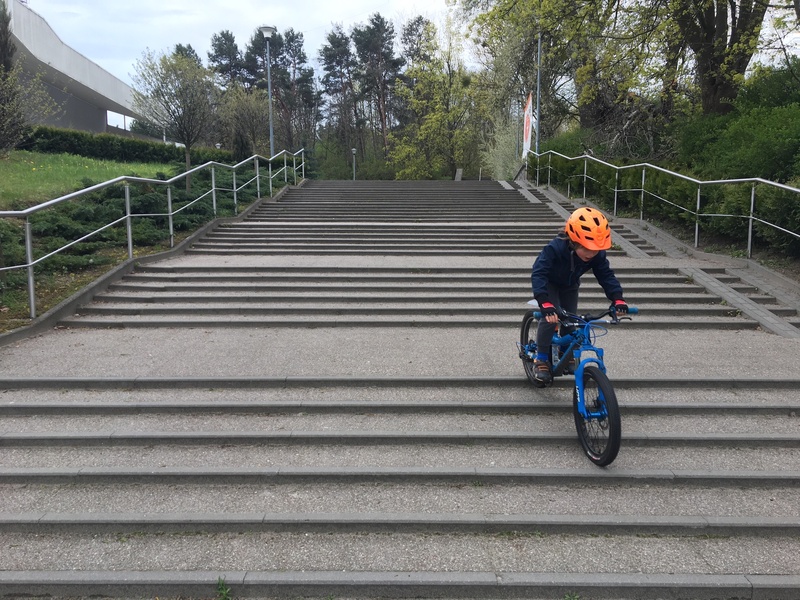 As we put a lot of attention to testing, tuning and adjusting the bikes design ourselves, this kids bike segment actually needed to wait for our kids to grow big enough, to be able to ride them. This was taken really seriously, and the NS CEO (Szymon) and his son (Max) got really involved in the process. 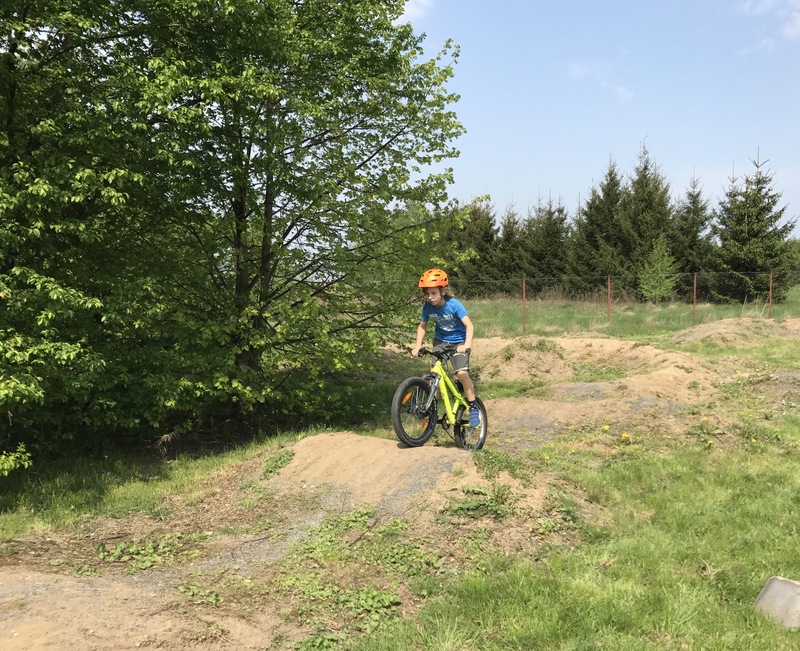 As soon as the boy was ready, we bought a few 20” bikes from the market leaders and used them as a benchmark for the new NS Bikes model for Max. We watched closely how the kid is using the bike, his stance, what components get the most beating, and what really counts in these little machines. We noticed that one of the main problem with most bikes the geometry. We realized that they were too short and too steep. They often seemed to be smaller equivalents of old-school MTB's. "The first kid's bike that we started working on was the 20" Clash. The focus was on getting the rider in a proper aggressive stance. We immediately noticed that this makes a world of difference even at this age. 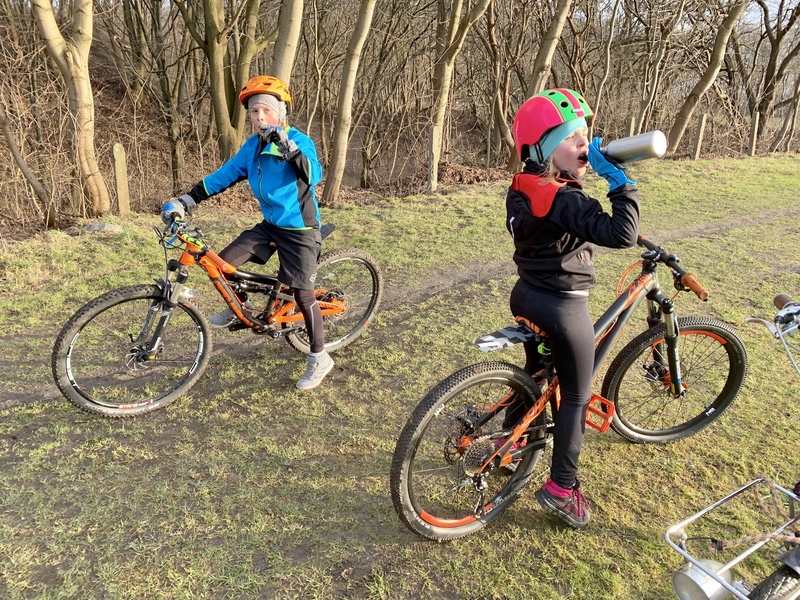 Wider bars, longer reach, slack head angle... in fact everything we have learned from making modern grown up MTB's applies to kids bikes just the same! 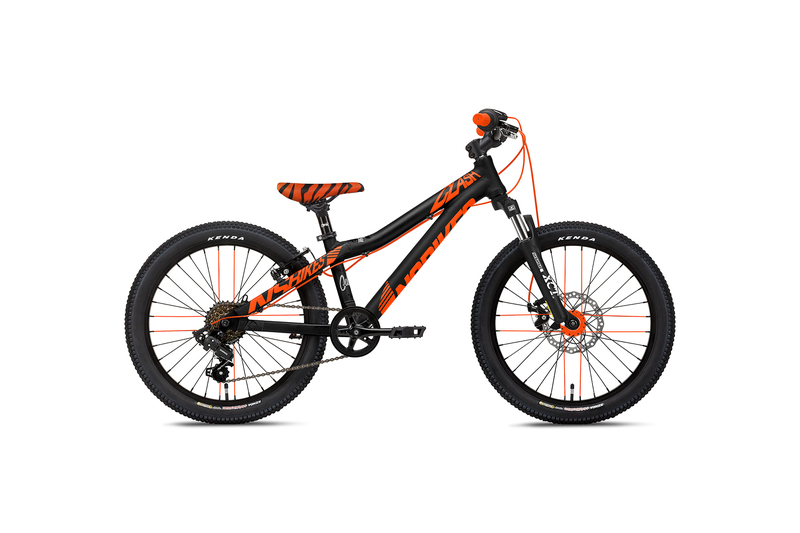 Next on our list was the development of two 24” bikes - the Clash JR, a hardtail fun-bike and the Nerd JR - a real full suspension bike for kids. And that's when the most interesting part of the journey started. 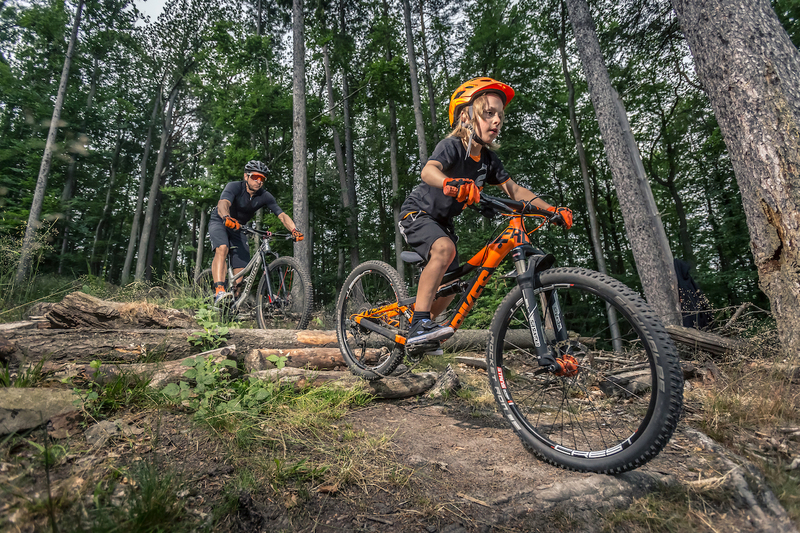 At this stage, we knew we had to make a real MTB bike, but we realized that most kids don’t actually know what style of riding they’re doing - they don’t care if you call it enduro, cross-country, downhill, or whatever. They want to enjoy riding and we think only a few kids will really become really specialized in any genre at this age. This is why we knew our bike has to do it all. We knew that one of the key factors in our new 24” bikes was to allow them to grow with the kid. Especially with a more high-end bike you don’t want to spend your money on something that’s going to be useful only for one season or so. That’s why both the Clash JR and Nerd JR are designed to work with both 24” and 26” wheels. Both bikes are initially sold with 24” hoops but when the kid grows, you can change the wheel size also change the geometry of the bike. 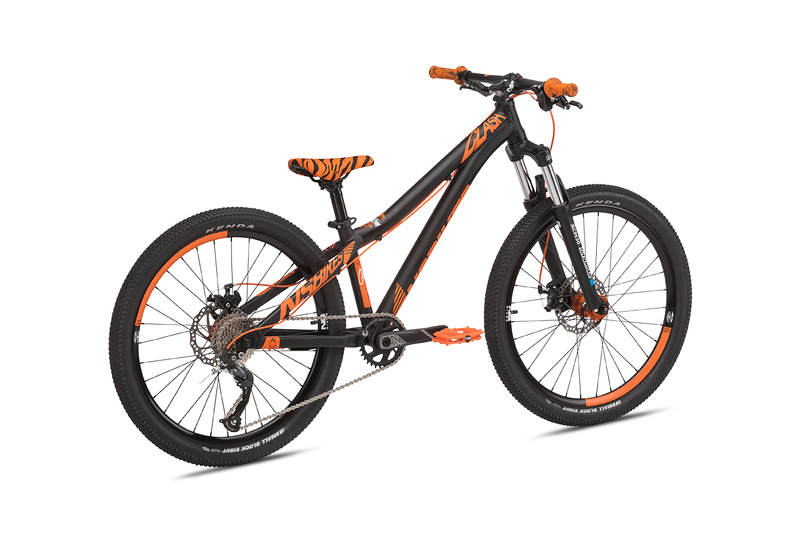 This puts the rider higher above the ground and the bigger wheels add stability at higher speeds and on rough terrain. The Nerd JR bike includes a special offset shock hardware, that lowers the BB height and slackens out the head angle after the wheel swap. This makes the bike more easier to mount and more stable at higher speeds which will most likely be encountered as the rider becomes older and more confident. We noticed that this geometry tweak really improved the handling. Max started testing the Nerd on 24” wheels and after spending a whole season on the smaller wheels, we swapped them for 26” and adjusted the geometry by using offset bushings in the shock. 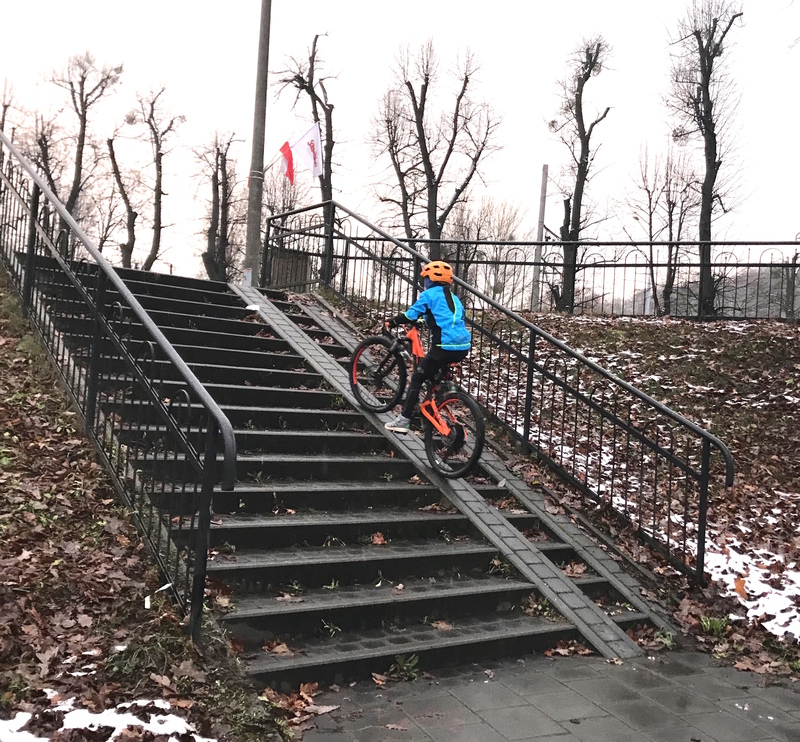 The kid could ride the whole course of the Polish XC Cup, with quite a few rock gardens, which was a challenge even for some grown up riders. Good air suspension is critical for kid's since standard spring rates are usually way too high! The Nerd JR is a really great all-rounder. 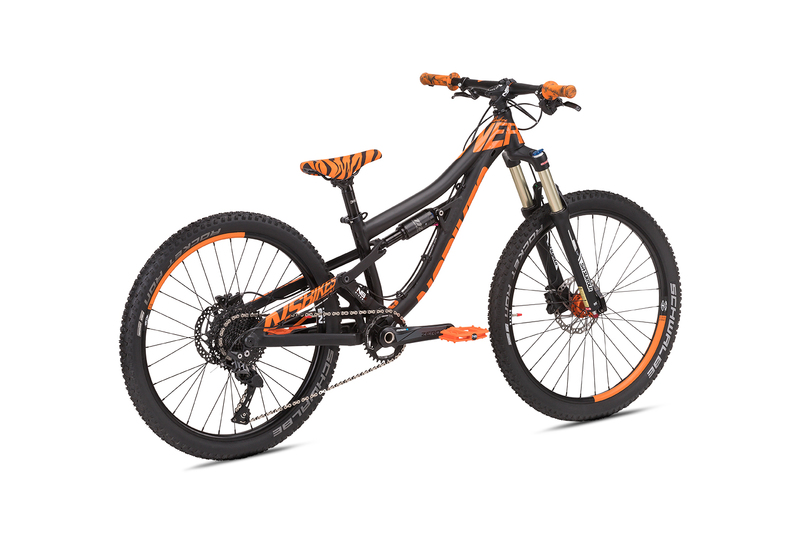 It climbs like a goat, but at the same time it's stable in the air and great on steep downhills. Perhaps the closest 'grown up' equivalent would be a modern trail bike. We’re really super excited about this project and it’s turnout. This really is something else comparing to the other stuff on the market. It ain't easy at all! It was a hell of a ride to get from a 20” little hardtail to a 26” full suspension kids rig. Nevertheless it was 100% worth the effort and going that extra mile. Check out the full specs and geometry of the Nerd Jr as well as our other kids bikes Clash Jr and Clash 20.